The Sherri Little Fibromyalgia Coaching Scholarship was created by Tami Stackelhouse, Founder of the International Fibromyalgia Coaching Institute. Sherri Little was a personal friend and client of Tami's. 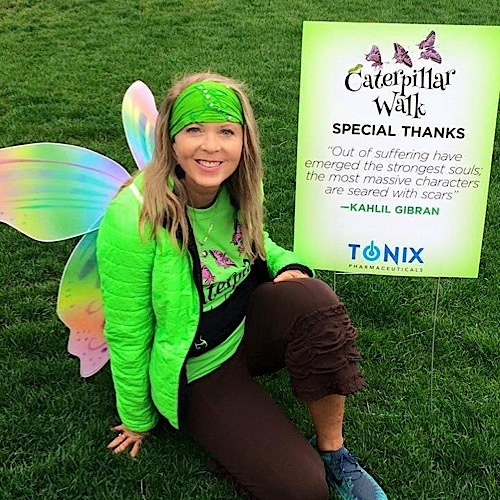 When Sherri passed away in July of 2015, after a lifelong battle with chronic pain, she left behind coaching sessions that she was unable to use. Through the many conversations they had, Tami knew that Sherri would want these sessions to be used to help women who otherwise wouldn't be able to afford coaching. Like many of us, Sherri spent years searching for answers and struggled to get appropriate treatment. She was also an advocate, working for awareness and patient rights and wanted her story and her pain to help others. You can learn more about Sherri at SherriLittle.org. Since this scholarship was created, many people, like myself, have donated money, time, and some of their coaching sessions to help keep Sherri's legacy alive. If you are interested in donating to the scholarship fund, please contact me. Scholarship recipients receive three coaching sessions at a "pay-what-you-can" price. Why is this a "pay-what-you-can" scholarship? I have found that clients get more out of their sessions when they have something invested. In other words, what you get out of your coaching sessions is directly related to what you put into them. In addition, this will allow Sherri's legacy to touch more lives. As part of your scholarship application, you will indicate how much you can pay. This scholarship is open to fibromyalgia patients who have limited financial resources. When and where will the coaching take place? Scholarship recipients will work with their coach to select the best time and frequency for coaching sessions. Sessions are typically held once per week. All coaching sessions will occur by phone and are 45 minutes in length. To apply for a fibromyalgia coaching scholarship, please visit the International Fibromyalgia Coaching Institute website to fill out an application. Please be sure to indicate that you would like to have me as your coach. Applications are reviewed on a rolling basis. Scholarships are awarded when coaching resources are available. When coaching resources are not available, applicants may be put on a waiting list.